The name IRONSandLADDERS.com comes from the seat assignments of our cities Truck Co’s. 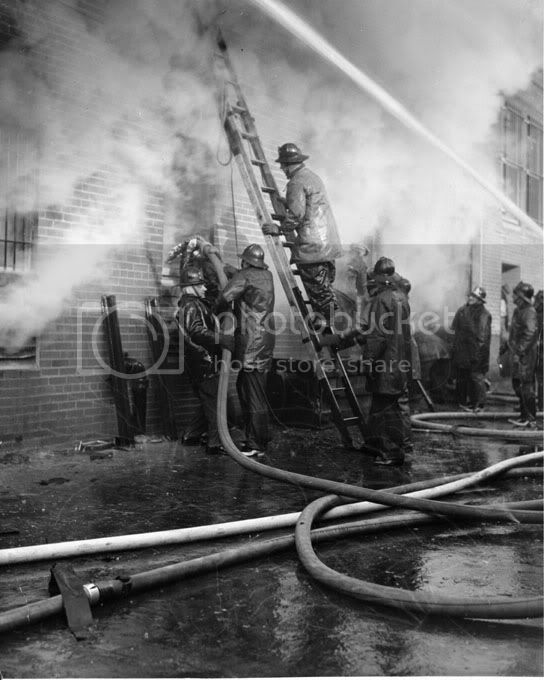 Irons and Ladders are two separate teams, typically having the Truck Driver leading the Ladders team performing any of the following based on the fire; ladder work, horizontal vent, vertical vent, VES and other outside vent duties. The Truck Officer leads the Irons team and its primary mission is forcible entry and search. This is a place to talk shop, post new ideas/tactics and continue the pursuit of becoming masters of our craft. There are multiple authors writing and providing input for a variety of topics. This could not be done without the help of many contributors and mentors. Thank You. The opinions, articles and comments on this site represent those who write them and in no way represent any single fire department. The training content on this site are opinions and should not be considered the only way to complete certain tasks. You should only apply what works for your own department and leave what does not. The content on this site has been written in good intent and for the soul mission of becoming better at our craft. The comments section is designed to discuss the topics at hand and other related training issues that apply. Comments that are unrelated, slanderous, or are unproductive will be removed. Hey! Great site! Ryan D. turned me on to it…looks great and really nice to see a group of guys with some heart carrying on the core mission! Keep it going! …and thanks Ryan D. for calling and catching up!